By Delivering Creative and Efficient Surety Risk Solutions. & Solutions via Superior Talent. This box wil contain an icon or picture reflecting the quick turnaround time. Rail work, military installations, underground utilities and school work. Video will pop up just like the form does, super clean. And more content will go here when we have it. Each State has it’s own requirements regarding Surety Bonds for different business practices. You can learn about the requirements for your business by contacting us and speaking with one of our professional agents. We will take the time to review your current needs and State requirements and then provide a fast quote at the best possible price. 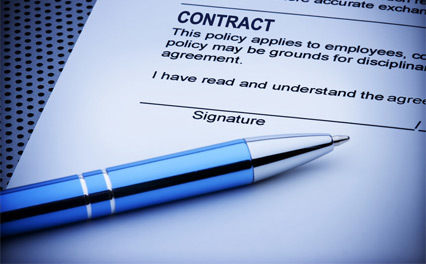 Are you confused what a Surety Bond is? A surety bond is a contractual agreement between project owners and project vendors to guarantee that specific tasks are fulfilled and regulations will be followed. The guarantee is achieved in a 3-party legally binding contract between the company/vendor providing the work, the project owner purchasing the work/project to be completed and the Surety, or insurance company that backs the bond in the case vendor fails to fulfill the agreement. How can Stewart Surety Can Deliver the Best Price? We are not an insurance company, we are an insurance brokerage, meaning we review your situation, State laws, regulation requirements, and then shop for the very best rate on your behalf. We have relationships with the very best insurance companies who compete for your business. Our experience and network means you get the very best Surety Bond insurance and the lowest premium cost. We are not an insurance company, we are an insurance brokerage. We review your situation, state laws, regulation requirements, and then shop for the very best rate on your behalf.